Home and Horizon is a lifestyle blog with a focus on saving readers money on home interiors/accessories and on their holidays. Travel and interiors are my two great passions, so I get a kick out of writing about them. You'll notice that throughout my posts I try to share thrifty advice, tips and tricks that I myself find really useful when it comes to the products and services I choose to buy. You'd be amazed at how much money you can save by making just a few small changes! By day I'm a trade journalist and I know where to look to hunt out a bargain. I'm also a dab hand at decorating my home on a budget – and with these particular set of skills, I aim to inform and educate. Sign up to my FREE weekly newsletter to get the low down on new travel and interior savings and offers! As this is a lifestyle blog you'll also find a variety of sections – from ‘10 New Things‘ which is updated weekly, to a monthly Linky for bloggers with a prize and even a Mini Rants section where I get things off my chest. The Wright household consists of Luis (13), Nadja (11) – who vlogs as Girlwrighter – and my overworked teacher husband, who I refer to as VIP – because he is. Oh, and not forgetting our four cute rabbits, Jessie, Bo, Pippin and Pudding. I also vlog, so do pop by to check out my videos which include thrifty shopping hauls, product reviews and blog or interior events, amongst others. If you've got any questions or suggestions for features, please feel free to drop me an email. I’ve been fortunate enough to work with some great companies and I’m always open to collaborations with brands that fit in with Home and Horizon. 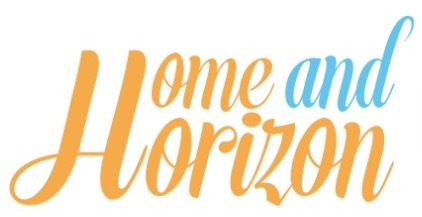 If you are a brand – or a PR representative and would like to collaborate with Home and Horizon, please email me. Many apologies but I'm not currently accepting guest posts – but thank you for your interest! I do not offer blog post coverage OR links in return for social media/newsletter promotion. I accept sponsored posts (if they fit with my blog theme), but I tend to write these myself to fit in with Home and Horizon's style. If you've emailed me, please bear with me – I get over 200 emails a day so it might take a little longer to come back to you – never usually more than a day though. I don't work for free or very little; this is a professional blog that I earn money from and, coming from a journalist background, quality is extremely important to me. In the same vein, I don't provide free links to other sites – and I also don't need free copy; I never seem to run out of editorial ideas – only time! If you'd like to see my media kit, which discloses my stats, readership, DA authority etc, just let me know. As well as teaming up with individuals and brands on Home and Horizon, I’m available for copywriting, ghost writing (blogs), subbing/proofing and social media management. If you have any questions, again you can send me an email. I hope that you enjoy browsing the blog – and feel free to connect with me on any of my social media platforms – I like to chat! I’m half-Turkish (half-English). My middle name is ‘Canan’ meaning ‘Sweetheart’. My kids (and VIP) would disagree. My son was born with bilateral talipes (Clubfoot). We were told he would always walk with a limp, have gait development issues and have to undergo ongoing extensive surgery. We challenged the NHS when it came to his treatment – and won. At 13 he now runs, jumps, skips and hops like any other child. No pain and no operations. My magazine collection is very important to me – I’m mildly obsessed with interior magazines and have a secret stash of them in my bedroom. Except now it’s not a secret. I suffer terribly from migraines and my triggers are plenty: atmospheric changes, irregular eating, hormonal effects and strong smells. If you don't understand them, read this! My weakness is sweets. I’m like a big kid and can’t seem to stay away from the pic ‘n’ mix section when I go shopping (High fives to Wilkos on their fab pic ‘n’ mix!). I’m also partial to cake, Yorkshire Tea, stationery, household gadgets/tech and home fragrances – especially candles. DISCLAIMER: All views on Home and Horizon are my own. I do my best to report on news and developments as accurately as I can and I’m always honest in my reviews, whether or not they are sponsored. Please note that links to merchants mentioned on this blog might be using an affiliate link. This means that – at zero cost to you – I might earn a commission if you buy something through that affiliate link. I believe in being transparent and honest, and therefore I wouldn't recommend a product or service if I wouldn't buy it myself. Integrity is extremely important to me. Finally, I make no representations as to accuracy, completeness or validity of any information that I publish, and neither does the company that employs me. To put it bluntly, I’m not to blame for any errors, losses, injuries or damages arising from the buy ranitidine 300 mg words I choose to use on this site. In the words of someone whose name escapes me – Accept it, deal with it and move on.